Friedman & Anspach is a full-service labor, employee benefits, and employment law firm with an active practice involving litigation in the federal and state courts and before administrative agencies. Our practice consists of the representation of Unions and the Boards of Trustees of jointly-trusteed labor-management benefit plans, as well as individual workers in both employment and benefits matters. Our clients include labor unions and plans in the transportation, construction, health care, supermarket, entertainment, and retail industries. As a core part of our practice, we provide comprehensive advice and representation to our union clients and their leaders on all aspects of labor law, including contract interpretation and administration, unfair labor practice charges, organizing campaigns, elections, and strikes. Our attorneys advise unions on the National Labor Relations Act and Labor-Management Reporting and Disclosure Act and other relevant labor statutes, and on day-to-day operational matters. We have negotiated numerous collective bargaining agreements with employers large and small. Our attorneys have represented union clients at every stage of the grievance process and arbitrated over one thousand grievances. We have successfully litigated on behalf of unions before the federal appellate, district and bankruptcy courts, state courts, and before administrative agencies such as the National Labor Relations Board and the Department of Labor, among others, winning favorable decisions in labor-related litigation and in related areas such as union mergers/affiliations, governance issues, and RICO claims. Click here for some of our significant decisions on behalf of union clients. We have developed considerable expertise in the interpretation of statutes and regulations governing employee benefit plans and funds. We serve as counsel to a number of boards of trustees of joint labor-management pension, health and welfare, annuity and scholarship funds. We regularly advise clients on compliance with ERISA, the Internal Revenue Code, the Pension Protection Act, the Affordable Care Act, COBRA, HIPAA, and other laws affecting plan governance. 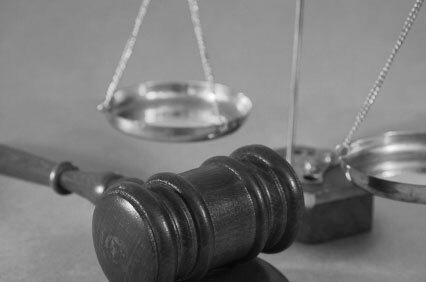 As a legal services provider to a legal services fund, we also represent individual union members and their families in a host of areas including wills and trusts, family law, real estate, landlord/tenant law, bankruptcy, and consumer credit, in addition to representation in other civil litigation matters. We actively assist our clients in compliance matters. We attend trustee meetings, participate in the resolution of issues regarding administrative concerns, draft and revise plan documents, and handle audits by and filings with the Department of Labor, the Internal Revenue Service, and other government agencies. Our attorneys advise our clients concerning fiduciary and non-fiduciary duties, the provision and denial of benefits, vendor contracts, investment management agreements, qualified domestic relations orders, and in general day-to-day operations. In litigation, we successfully enforced collective bargaining agreements to collect delinquent employer contributions while advancing legal theories of alter ego, single employer, individual, and successor liability, corporate veil piercing, and contract adoption. Our attorneys have also compelled payroll audits of contributing employers and recovered millions from employers in delinquent benefit fund contributions and withdrawal liability. We have effectively defended plan trustees against benefit claims and claims involving breach of fiduciary duty, plan and contract interpretation issues, alleged violations of ERISA, and RICO. Click here for some of our significant decisions on behalf of fund clients. We represent workers, individually and in class actions, in suits to recover wages owed under state and federal law. Our attorneys provide advice to individuals on employment matters, including wrongful termination, unlawful discrimination, and employee benefits issues. We have also negotiated severance agreements for employees and advised on qualified and non-qualified executive compensation plans. Click here to contact us for information on our representation of individuals.